Cut a slice of this mellow gold cheese and inhale the slightly nutty aroma. Now taste it. As you chew, allow your mouth to discover the texture and flavour. Notice the hint of smokiness, the shy sweetness that peeps out and disappears leaving a tantalising creaminess? 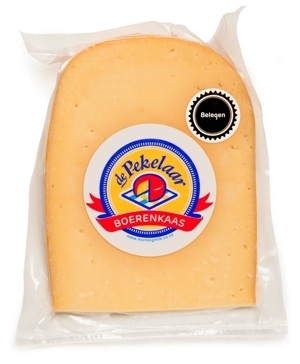 You’ve just experienced our fabulous Boerenkaas – full-bodied, balanced, and matured for 6 months.